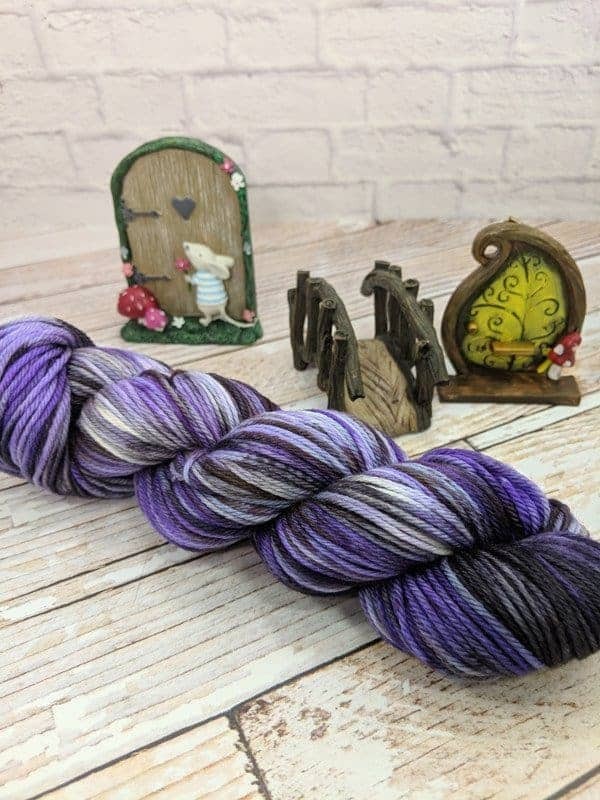 With this colorway, you are certain to have a connection to the midnight forest. This colorway is tie-dyed. 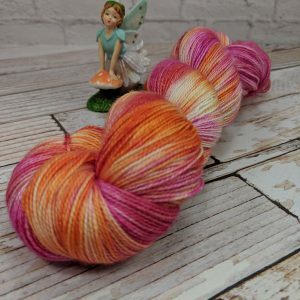 This means the colors are applied in layers, with different parts of the yarn restricted in each layer so it doesn’t absorb the dye. 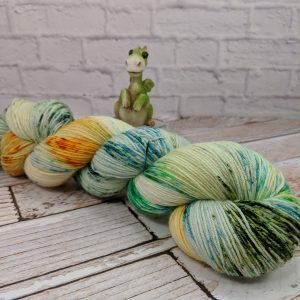 The color repeats in tie-dyeing are short and more random and will vary throughout the hank of yarn and within the same dye lot. 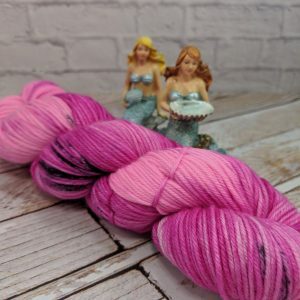 What this means for your projects is there are more colors because of the overlapping as the dye is applied and they are less likely to pool. 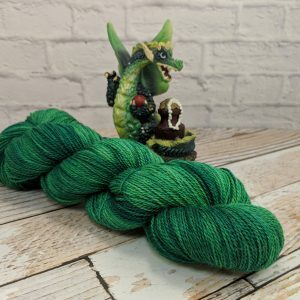 This listing is for one skein of yarn in the Midnight Forest colorway, dyed on the Queen’s Worsted base.